Cultural Detective Vietnam co-author, Phuong-Mai Nguyen, spent eight months traveling through 13 countries, tracing the path of Islam from Saudi Arabia to East Asia. She chronicled her journey here on this blog. Mai traveled alone, during the height of the Arab Spring, amidst so many changes and so much turmoil. She met hospitality everywhere she went, learned a whole lot, and fell in love with the people and places. 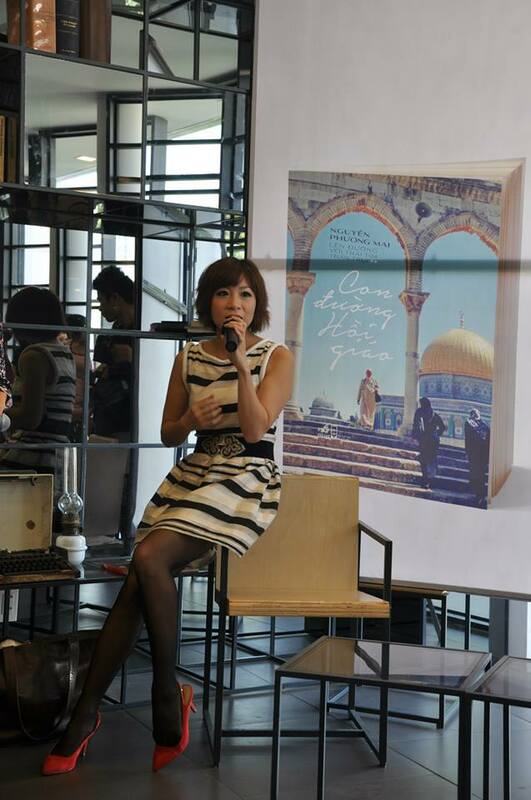 Mai has just launched her Vietnamese-language book (two, actually) about her journey. The English edition will debut in October. Be sure to catch her powerful short video, below. This entry was posted in Tour Report and tagged Arab Spring, cross-cultural skills, Cultural Detective, current events from an intercultural perspective, diversity and inclusion, global nomad, Intercultural Communication, intercultural competence, Islam, Middle East, Vietnam by Dianne Hofner Saphiere. Bookmark the permalink. Does anyone know of a short video that demonstrates (for ICC students) the various types of persuasion? I had one formerly (from SIIC) but cannot locate it now. Thanks for any ideas. Sharon, off-hand I don’t. I have asked a few professors who teach communication style, but no luck. If you do find one, please share back here so others can know of it. Thanks! Another option is to use clips from entertainment films, and compare/contrast persuasion styles used. I used to do that a lot when I taught about Japanese culture.